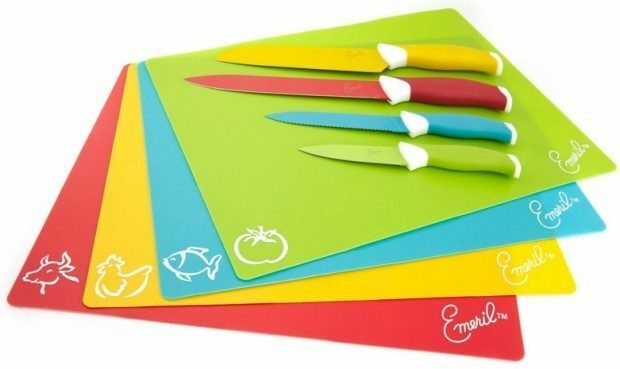 Emeril 12pc Cutlery Set Just $7.98 PLUS FREE Shipping! Down From $43! You are here: Home / Great Deals / Emeril 12pc Cutlery Set Just $7.98 PLUS FREE Shipping! Down From $43! This is a nice deal! Right now at Sam’s Club you can get this Emeril 12pc Cutlery Set for just $7.98 PLUS FREE Shipping! Down from $43! What a nice gift this would make, too! You can get this deal whether you are a Sam’s Club member or not. If you are not a member there will be a 10% upcharge, but it’s still just $8.78 if not! PLUS FREE shipping! You can see this same set on Amazon for $38!